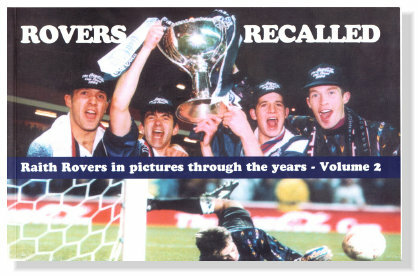 The 384 page hardback book celebrating 125 years of Raith Rovers, has SOLD OUT and there are no plans for a reprint. Instead, the entire contents of the book, including all illustrations, and complete statistics from 1883 to 2008, and original page layouts, are available on a CD Rom, in PDF file format. Purchasers who live abroad should add an additional £1 for postage and packing. Click on payments for further details. For more details, email progm@hotmail.com. I have a vast range of Raith Rovers programmes, handbooks, photographs and other memorabilia for sale. Some of them are listed elsewhere on this website (click here), but if you have any specific requirements, please contact John Litster at the above address, by email progm@hotmail.com or telephone 01603 449237.